More often than not politicians have been the beneficiary of mysterious letters with white powder. 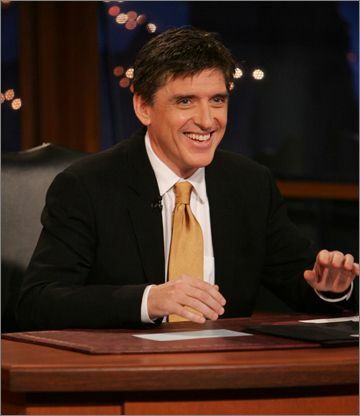 This time it was the flip late night talk show host Craig Ferguson who got one of those letters. The Associated Press reports that the FBI is working with police to determine who sent a threatening letter with white powder to Ferguson in Los Angeles from overseas. The white powder ended up being harmless. AP reported that two people at CBS Television City in Los Angeles, where “The Late Late Show” is filmed, were temporarily isolated Tuesday after being exposed to the powder around 3 p.m. They were released after authorities determined the material was harmless. After the deadly anthrax letters in 2001, the U.S. Postal Service set up sensors in postal processing facilities to detect biological agents like anthrax. Scores of fake white powder letters have been mailed around the country since then, but none have been found to contain dangerous agents like anthrax. Posted: 8/24/11 at 8:46 AM under FBI, News Story.